Dr. Corey Fearheiley is the emergency department medical director at Seton Medical Center Williamson in Round Rock, TX. He began working there in 2008 and assumed the medical director role in 2014. Among his accomplishments as an attending physician, he initiated a monthly “Nurses Niche” educational program for ED nurses, created the Seton Williamson ED Fund to support members of the ED team, and has served as a member of the Trauma Council. He was involved in developing the Seton Provider Support Group, which supports providers from all specialties in times of need. He serves as co-chair the Ethics Committee at Seton Williamson. An avid Formula One racing fan, Dr. Fearheiley was instrumental in establishing a relationship between what is now USACS and Austin’s Circuit of the Americas, and he has been part of the track’s medical team since the facility opened in 2012. In addition, he has served as Burnet County Fire and EMS Medical Director. He is also co-founder of a physician-owned group that teaches ACLS/PALS/BLS and CPR courses. 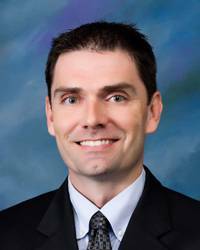 Dr. Fearheiley earned his medical degree from the University of Illinois Chicago College of Medicine at Peoria. He completed his emergency medicine residency at Mercy St. Vincent Medical Center in Toledo, OH, where he received the Emergency Medicine Research Award for co‐inventing a device to increase a novice’s success rate in maintaining a secure airway, as well as the Daniel Gaughan Humanitarian Award.